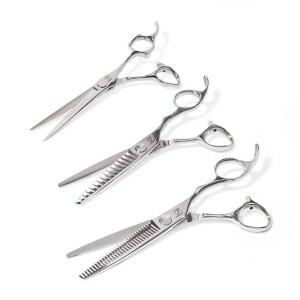 Investing in the highest quality hairdressers scissors is the first step in ensuring that you’re delivering the highest quality hairstyles to your clients. They also greatly contribute to your comfort, your long-term orthopaedic health, and your efficiency in the hairdressing salon. As with any tool of any trade, results are directly proportionate to the investment; therefore, Scissorhands UK never recommend pinching pounds when shopping for hairdressers scissors. Every day, clean your hairdressers scissors with isopropyl alcohol, white spirit, or acetone. 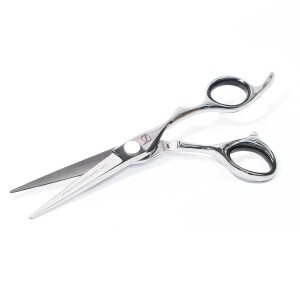 Use a soft cloth to remove residual hair, dirt, and silicone styling products that can build up during a workday and negatively affect the performance of your hairdressers scissors. If not removed regularly, salon build-up can prematurely dull blades and diminish smooth cutting action. Occasionally, it may be necessary to loosen the screw between the blades and use running water to remove built-up residue and hair. After cleaning your hairdressers scissors, wipe them with a chamois to polish the blades and get them ready for their next cutting-edge performance. 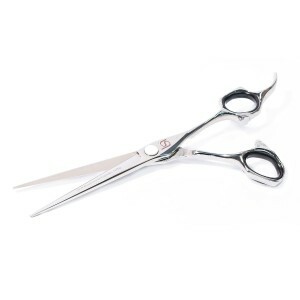 It is important that hairdressers scissors are always stored clean and dry – to avoid corrosion from residual water and other substances. Keep your hairdressers scissors’ blades oiled. This will prevent dirt, hair, and silicone-based products from building up around the screw – which could affect the smoothness of the cut, the scissors’ tension setting, and ultimately, the life of the cutting blades. Apply one or two drops of oil to opened hairdressers scissors, near the screw where the blades meet. The tension adjustment of your hairdressers scissors can change with use, and therefore you may find it necessary to occasionally tweak it. 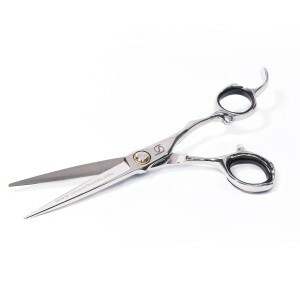 Even when the blades are sharp, a too-loose tension setting will fold hair, rather than cutting it. A too-stiff setting will push hair toward the end of the blades, rather than cutting it. An incorrect tension setting will dull blades and result in poor slices. When at rest, with the blades’ tips pointed straight up, those tips should rest at ¼” apart. Adjust the screw to accomplish this. 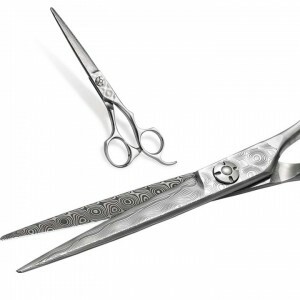 Daily care of hairdressers scissors is essential to peak performance, but don’t forget the regular yearly maintenance provided by Scissorhands UK. Enrolment in our Hairdressers Scissors Care Programme costs less than £3 per month and entitles you to yearly maintenance as well as repairs, as needed. 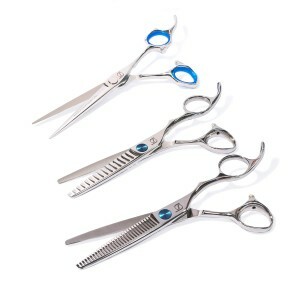 Email Ashley Howard at Scissorhands UK for more hairdressers scissors information, or call 01535 658 570 today.